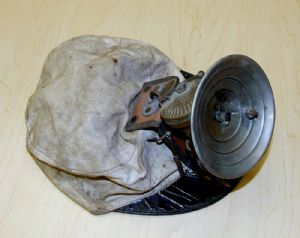 Cloth cap, with hard brim, and mining lamp attached. Henry Stafford loaned the cap to the George's Creek Library. This photograph was taken with his permission.